It’s been 2 weeks since I’ve restarted my low carb adventure with my workout buddy and dear friend. 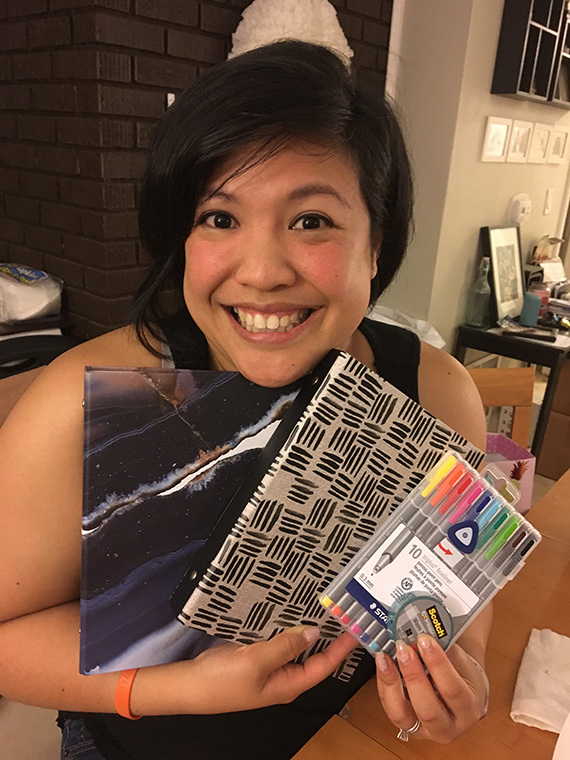 Though there’s nothing really significant to share regarding my fitness or weight loss yet, there is one thing I can share – RECIPES! I’ve been on Pinterest and Yummly looking for recipe inspiration and found this recipe for a taco skillet dinner by Courtney of Sweet C’s Designs. It looked delicious and was relatively low in carbs so Charlie and I decided to try it, with a few of our own revisions. We were right, it was delicious! We don’t have tacos at home very often so the flavor was a nice change. 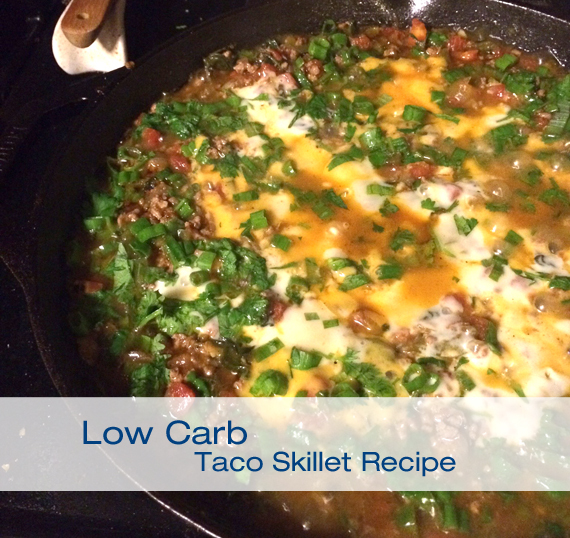 Here’s our recipe below (as well as the carb content, booyah!) if you want to make it for yourself at home. Step 1. 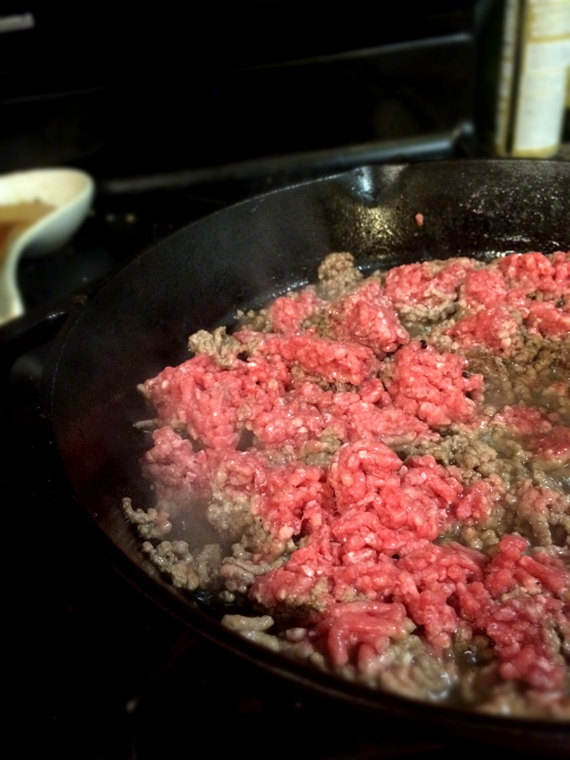 Sautee the ground beef with salt and pepper. We used 85% lean. Drain the excess fat after fully cooked. Step 2. 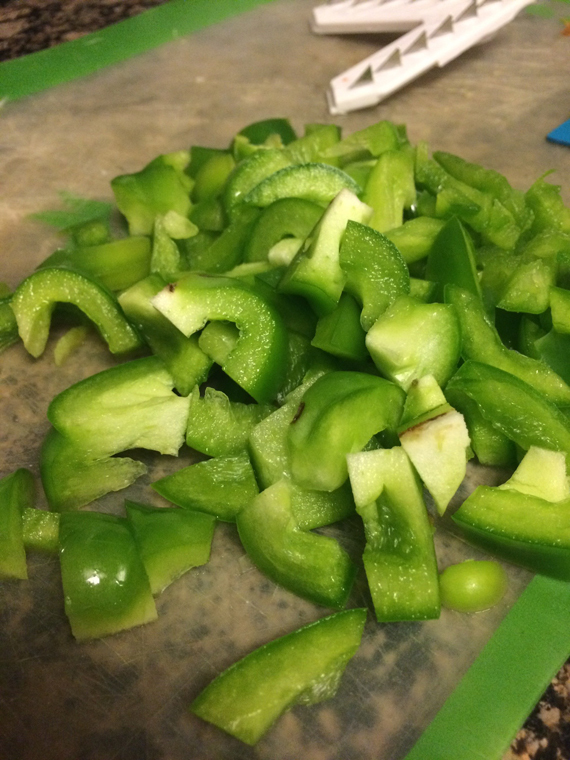 Add the bell peppers and yellow onion. Let cook for 1 minute. Step 3. 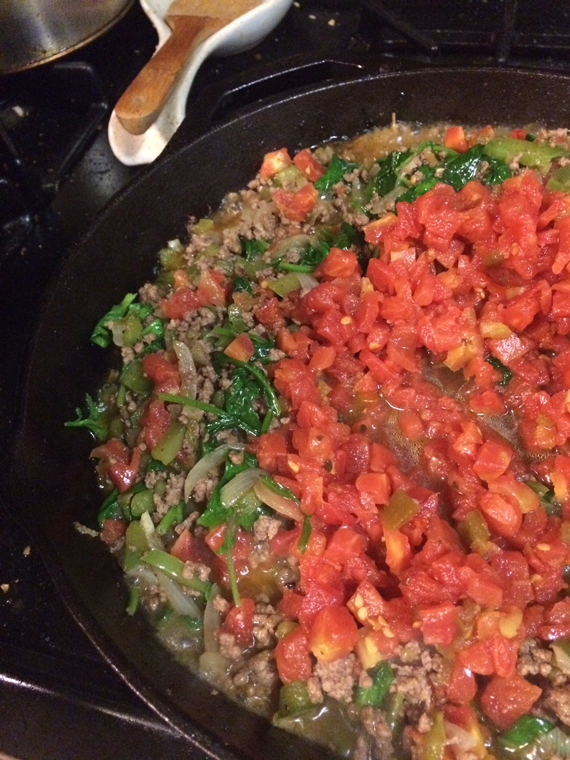 Add canned tomato, and let simmer about 15 minutes. Step 4. 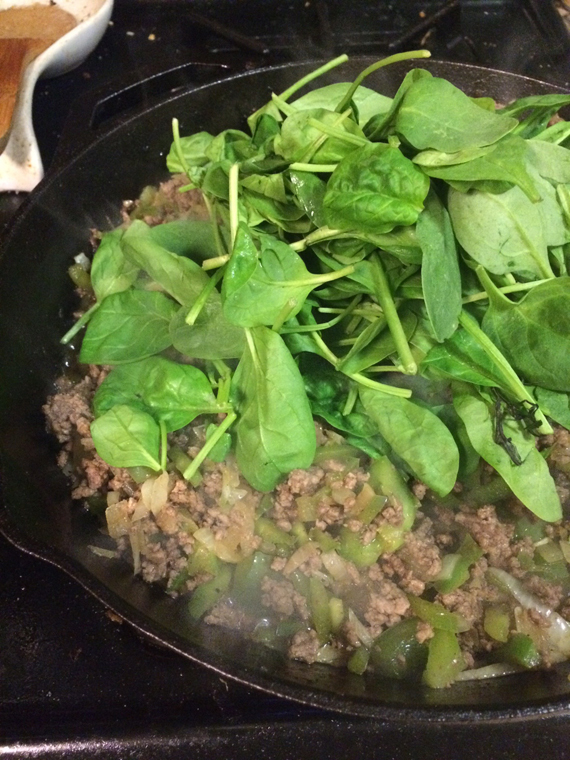 Add your spinach/baby kale and stir, they wilt quickly so no need to simmer for more than a minute. Step 5. Top with cheese and let it melt. 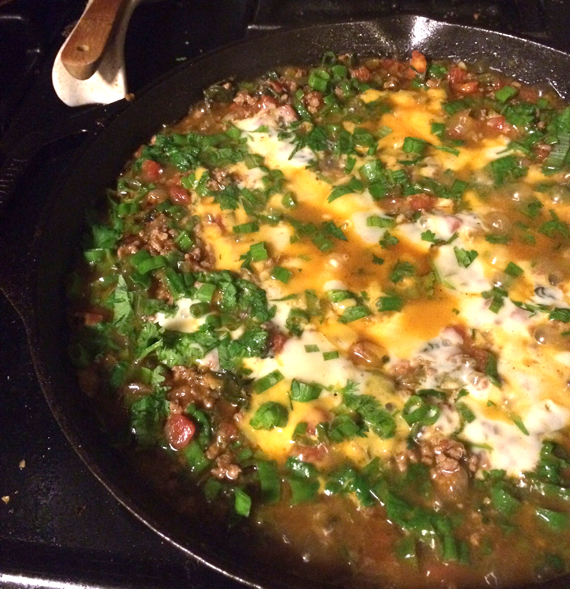 Top with fresh cilantro and green onion and voila! That would equal 4g of net carbs per serving. Woot woot! Happy eating!